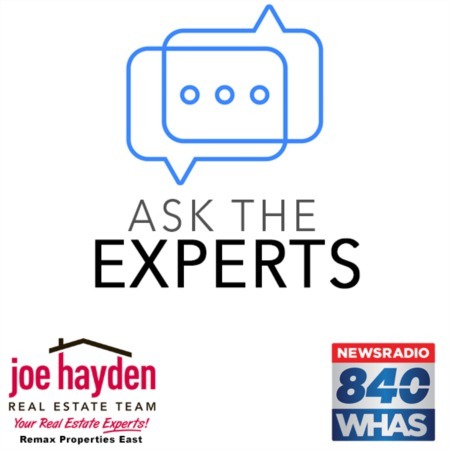 7904 Hall Farm Drive Louisville, KY 40291 | Home for Sale | MLS #1358381 | Joe Hayden Real Estate Team - Your Real Estate Experts! WOW! This fantastic home at 7904 Hall Farm Drive in the prestigious Glenmary Estates subdivision will grab your attention from the moment you approach the beautifully landscaped yard. 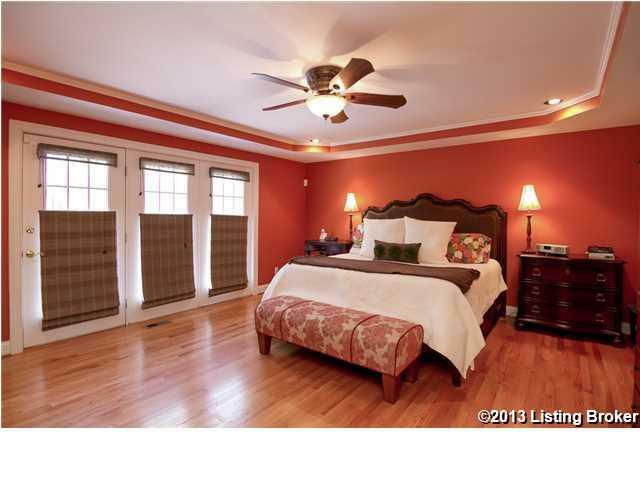 The foyer welcomes you with tasteful hardwood flooring and a soaring ceiling to the 2nd floor. 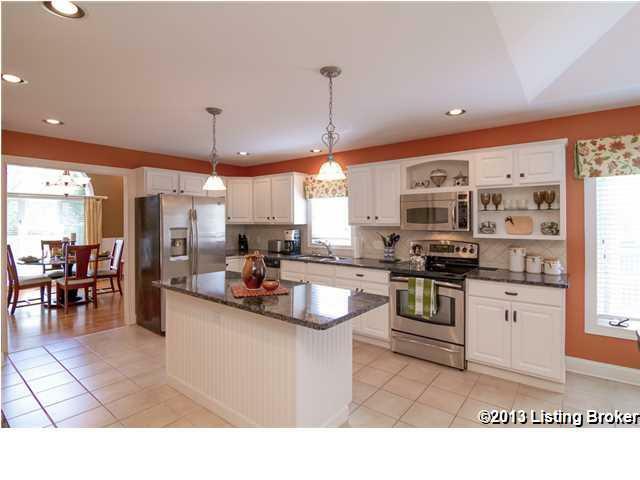 To the left you will find the formal dining room with a large palladium window and bead board wainscoting. The recently renovated kitchen is a chef's dream with ample cabinet and counter space, plus all new stainless steel GE Profile appliances, a large island and planning desk in addition to granite countertops. There is a capped off gas line in the island that can be used to accommodate a gas stove. Just beyond the island you will find a large breakfast nook and a screed in porch with a vaulted wood ceiling just waiting for you to sit and linger on a lazy Sunday morning. The Trex deck is maintenance-free and covers the length of the back of the home including access from the great room and master suite. The focal point of the great room is the cozy fireplace flanked by two built in bookcases. This room also features a vaulted ceiling open to the 2nd floor. The first floor master will accommodate a large king-sized bedroom suit and benefits from the beautiful hardwood floors as well. The completely renovated spa-like master bathroom features a shower to envy. The large walk-in closets have access from both the master bedroom and bath. The main floor also enjoys a spacious laundry room with a closet, sink and built in cabinets to help keep clutter at a minimum. The main floor powder room is tucked away off the foyer for guests to use discreetly. The 2nd floor has 3 additional large bedrooms and 2 full bathrooms, one roomy luxurious bath just off the hall and one updated Jack-n-Jill between bedrooms 3 and 4. The hallway even has a catwalk for additional decorative items. Don't miss seeing the spacious and plentiful closets in every bedroom! Entering the lower level you will see built-in glass etagere shelving with recessed lighting to highlight your treasures. A large room, currently being used as an office, would also make a great room for exercise equipment, a play room or whatever you desire. Another full bath separates this room from a fantastic guest room with a closet so large, you could almost turn it into another room! 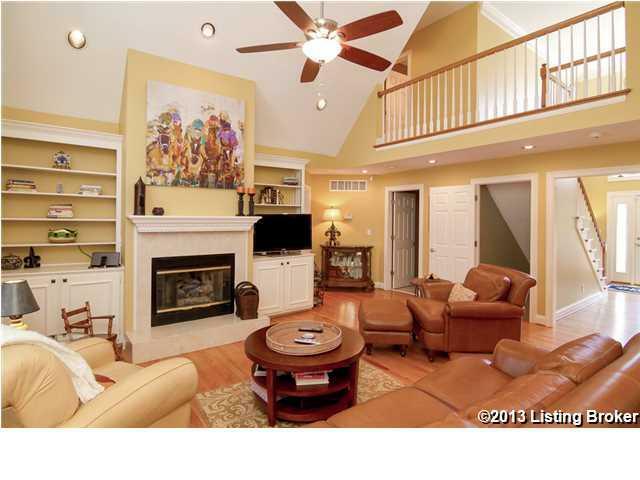 The main family room has an entertainment area with a wet bar and built-in storage. The unfinished area is generous and has many spots around each corner to store holiday items easily. The vault in the storage area was originally made to be a wine cellar and has an area in the floor for ventilation to keep corks from drying out. The home has a wireless security system which can be operated from your cell phone and this and all custom window treatments can stay with the home. A new dimensional roof and gutter guards are a big plus on this home as is the new hot water heater. The seller has the home's HVAC system on a service contract to keep the system in top working order and it has a transferable plan to the new owner. The basement has a lifetime warranty for the waterproofing. 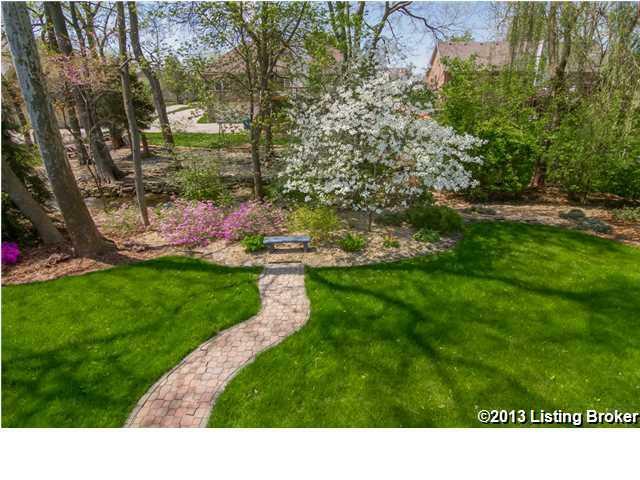 The extensive landscaping is easily maintained with the irrigation system and low maintenance plants. The home's exterior is also termite free and has a transferable bond on the home. There are too many additional custom features to mention so make your appointment to come see this special home at 7904 Hall Farm Drive in Glenmary Estates today!